The Abbot Kinney Festival, Venice's biggest event of the year, celebrates its 30th anniversary this Sunday with a mile-long extravaganza from Main Street to Venice Blvd. featuring five live-music stages, food trucks, more than 300 vendors, and visitors from every stretch of L.A. This go-big and then go-home event is one day only from 10 a.m. to 6 p.m. Held on the last Sunday of September, the annual tradition marks the end of summer, the start of fall, and for many, an early jump on holiday shopping as vendor booths and local boutiques offer unique gifts, handmade goods, artwork, as well as special offers and clearance sales. If you haven't explored Abbot Kinney in a while (and even if you have), there are so many new openings to catch up on, you'll have plenty to shop beyond the vendor tents. In the past few weeks alone, major debuts were made by Warby Parker, Rag & Bone, Iro, Stag, Timbuk2, Todd Reed, Hourglass Cosmetics and Blue Bottle Coffee. A new crop of indie shops are also starting to emerge. Earlier this year, Abbot Kinney welcomed Buck Mason and the M. Steves Beauty Cottage. This summer brought Prize Of Venice, a clubhouse / boutique housing a variety of emerging designers, vintage home goods and other soon-to-be prized possessions. Bonus points for the front signage by Venice artist Priscilla Witte. Another new spot high on the radar of local designers is In Heroes We Trust, just off Abbot Kinney on Westminster. It showcases a mix of independent labels, vintage finds, stone jewelry, hula hoops, mini dreamcatchers, all the essentials. If all of that isn't enticing enough, the custom murals inside by Chase and Isabelle Alford-Lago are certainly worth a visit. Oh, and the Rabbit Hole. If you haven't yet, stop in for a fresh batch of Zen's chai chocolate and see what you think. Food trucks at the fest include Baby's Badass Burgers, Kogi BBQ, Dogtown Dogs, Cousins Main Lobster and many more. Salt Air will host its pop-up shrimp boil again this year, which is a great option for some shaded outdoor seating. There will also be three beer gardens, and there's even a beer garden "fast pass" available for $35, so you can skip the lines and walk right up to a dedicated "fast pass" bartender when your thirst needs quenched. For the little ones, rides, games and rainbow snow cones will all be found at the Kidsquad between Main Street and Westminster. More info and complete vendor lists are available here. Maps over here. Abbot Kinney Fest is a non-profit event that reinvests proceeds back into the Venice community. 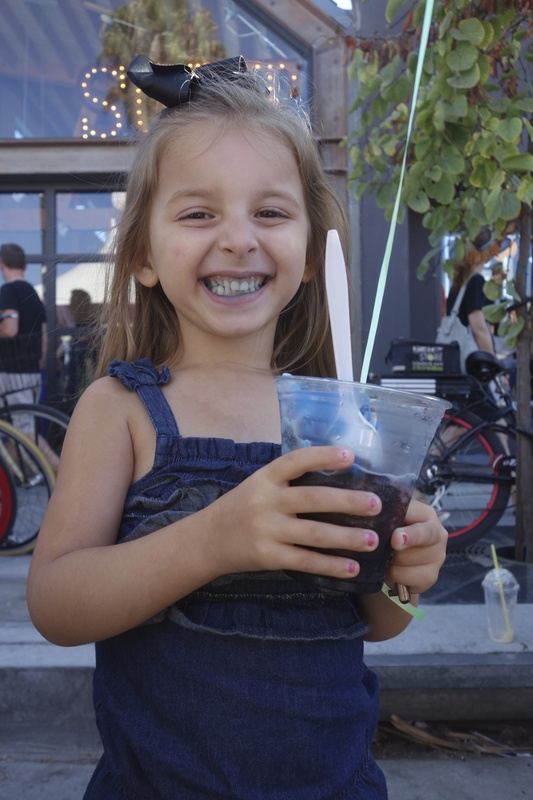 Find out more about Community Grants and the Abbot Kinney Festival Association at www.abbotkinney.org.